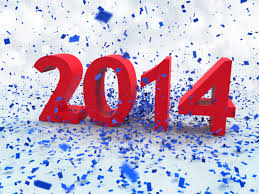 We have already arrived at the end of this “new” year (seems like it just started yesterday) 2014. I hope yours was a great one. As I like to give me readers occasional glimpses inside my head, I will complete one of my annual “selfish” posts and share some of my own reflections of this past year. For me, 2014 was like the past five years. I was optimistic that this would be the breakthrough year where my greatest dreams would come true. Although it didn’t quite happen, it was a year of serious personal growth that has taken me steps closer to realizing my ultimate goals. My greatest growth was a spiritual strengthening and renewal. My Christian walk has grown steadily for the past few years. However, I realized more than ever that the kingdom of heaven is within me, and that God’s spirit is not only near me, but an actual part of me. Reading books like Wayne Dyer’s “Wishes Fulfilled”, and St. Germain’s “I Am Discourses” really enlightened me to this truth and helped me begin to live it out. I also benefited greatly from learning more about the importance of living in the present moment instead of dwelling on past or worrying about the future. Eckhart Tolle’s book “The Power of the Present Moment” was a great help in getting me there. It’s a book I tried to read in the past but found it very difficult to understand. I guess the timing was right this time around and it truly resonated each time I read it. Regardless, I discovered that living in the present moment is truly one of our greatest powers. In other areas of my life, there was some growth, while some areas didn’t grow as much as I would have liked. The greatest blessing was in the financial area as this was far and away my greatest financial year. We were able to put a significant dent in out debt and paid most of it off completely. I was provided a different part time job in addition to my teaching that paid twice what the previous one did. The one area that still needs great improvement is my leadership at home. People tell me I am a good father, and I believe it. I still feel like I could be a much better husband and leader. I am home less due to the work schedule, which makes it a bit difficult. That will be major focus for next year. Speaking of jobs, I am less than happy with either of them. On the other hand, I am extremely happy to have them, and thankful for the income and impacts I can have on other people, especially adolescents. My ultimate goal is to work one job from home, and steps were taken this year to potentially make that happen. Finally, I can also be thankful for the great health of myself and my family. We are very well protected, and none of us was sick for an extended period of time. Even among my crazy schedule, I did not miss any days because of extended sickness. The bottom line, as I end another year, is I have SO much to be thankful for. I serve a God that has only my best in store, wants to bless me abundantly, and is a part of my very being. I take this with me as I head into 2015. I am setting some major goals, and look forward to the journey to reach them. Is Hypnosis Appropriate For Christians? What do you think about the topic of hypnosis? Even though it is far more accepted and known in today’s society, it still carries an aura of mystery around it. I became interested in hypnosis when I was 14 years old. My father found and began using a book on self-hypnosis. I too learned how to hypnotize myself and even as a teenager used it to remove fears, heal injuries, and build my confidence. Fast-forward to today. It is far easier to hypnotize yourself as there are countless programs and videos available that do it for you. You can use hypnosis for changing your subconscious to accomplish anything you want to achieve in life. I was impressed by her thoughtful question. I am glad that she would even challenge her father to defend her faith. It did not take me long to address her question with an answer that I’ve always used to defend using hypnosis since I’ve been a Christian. Correct use of God’s free will – God has given us a free will. It is up to us to use that free will in a responsible and productive manner. When we use hypnosis to gain more confidence, heal relationships, or improve our life in general, we are ultimately making ourselves more useful for accomplishing God’s purpose in our lives. Good stewardship – One of our responsibilities in life is to be the best possible stewards of God’s resources. One of the most powerful gifts He has provided for us is our mind. Using our thoughts and minds in a positive, efficient manner will bring us a blessed, and abundant life that we can share with others. When you use hypnosis to maximize the power of your mind, I believe you are maximizing your stewardship of this great gift God has given you. My daughter accepted my explanation. Although she is still not sold on hypnosis, she agreed with my reasoning and realizes hypnosis is far from ungodly. I am not trying to convince you to use hypnosis (although I strongly recommend it). However, if you are a Christian with the same concerns or simply have your doubts about hypnosis whatever faith you practice, I hope this information addresses those concerns for you. I was sitting by the fireplace on Christmas Eve (ok, I admit I don’t have one and I’m talking about the fake one on TV). I was relaxing at the end of another beautiful Christmas Eve celebration, listening to the Christmas songs, not quite ready to go to bed. I began to reflect on the many wonderful blessings in my life….my family, the reason for the season, and the many other great things I have in my life. I was overwhelmed with joy and gratitude as I reflected on these. At this point the negative feelings disappeared and were replaced with peace and the joyous, thankful feelings I felt a few minutes before. It was a wonderful reminder that I share with you. God would tell us we indeed do not deserve the blessings we receive. He then tells us it’s ok. He also tells us He gladly floods our lives with His greatness and unending favor regardless of how unworthy we are. One of the greatest feelings in the world is when you feel respected from other people. The feeling is the opposite when you don’t feel respected. Many want to know…is there a way I can gain more respect from my family, friends, co-workers, and even strangers? There is definitely an affirmative answer to this question. Two in fact. One way is to be respectful to others. It’s like anything else. The more you give of something, the more you get back. It’s those that show the greatest respect towards other people that get it multiplied back to them. I am realizing that, in addition to the reason above, there is an even greater way to earn the utmost respect. It is very simple, yet many of us don’t do it. If you feel like you are lacking respect, the solution is to…..RESPECT YOURSELF. It may seem overly simple, but the more you respect yourself the more you open yourself up to receive this respect from other people. Here’s a bit of a scientific explanation of why this is. The spirit of God dwells in each of us. In fact, it is the essence of our being. And since this spirit is a part of all us, and we are connected to God that way, we are ultimately all connected to each other. When you disrespect yourself, you are ultimately disrespecting the part of God that is you. Since we are all connected by this spirit of God, what you do to one part affects the whole part. That’s why when you think negatively towards yourself, you are ultimately disrespecting everyone you are connected with (as in everyone who exists). This is also why when you act or even think negatively towards someone else, it comes back to you. It’s because if you negatively impact one part of the connection, you ultimately effect the whole which you are a part of. I am still learning this whole concept, so hopefully my futile explanation hasn’t confused you. If it has, I’ll make it simple. Respect yourself. You don’t have to be perfect, and you are no better than anyone else, but it’s a very simple formula. The more you have a healthy respect for yourself, the more you will see it returned from other people. What’s wrong with me? Have you ever asked yourself that question? If you are like almost all human beings, you have. Unfortunately, many people ask the question all too often. When we are struggling to find the desired partner,lose weight, break a habit, keep a job, or whatever, we tend to focus on what is wrong with us. The problem is that as we keep our focus on what is wrong with us, the Law of Attraction says we ultimately cause more of it to appear in our lives. How do you turn this around? Spend time as often as possible thinking about what is right with you. No one is perfect. Yet even if you have many negative qualities (all of us have at least some) there is at least something that you are good at and some positive quality you can share with the world. Everyone also has at least something they can be thankful for. Even if things in your life aren’t going well, there is at least something you can thank God for, even if it’s simply the ability to breathe and drink clean water. The bottom line is that, according the same law mentioned above, we receive in life what we focus on. If we focus on what is right and good about ourselves and our lives, we will see more of it. Ultimately, our positive qualities grow even stronger, and we are able to make more of a difference in the world. You are currently browsing the Power of PIES blog archives for December, 2014.